Jadeja, on his partnership with Bumrah, mentioned how batting with the tail is a challenge in its own. India’s lower order has been at the receiving end of some severe criticism for underperforming, a factor that has been the major difference between the two sides. On Sunday however, Ravindra Jadeja changed that, and batted defiantly by putting on two crucial partnerships. 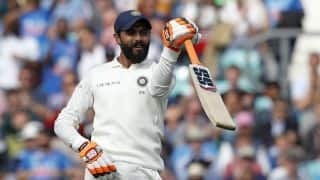 With India staring down the barrel, Jadeja first combined with debutant Hanuma Vihari to put on 77 runs for the seventh wicket and later went on to score 32 crucial runs with No. 11 Jasprit Bumrah to bail India out of trouble. 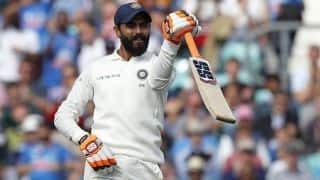 Jadeja’s counter-attacking unbeaten 86 reduced India’s deficit to 40 before they were eventually bowled out for 292, a total they wouldn’t have envisioned after being reduced to 160/6 on Day 2. Jadeja, on his partnership with Bumrah, mentioned how batting with the tail is a challenge in its own. That wasn’t all. 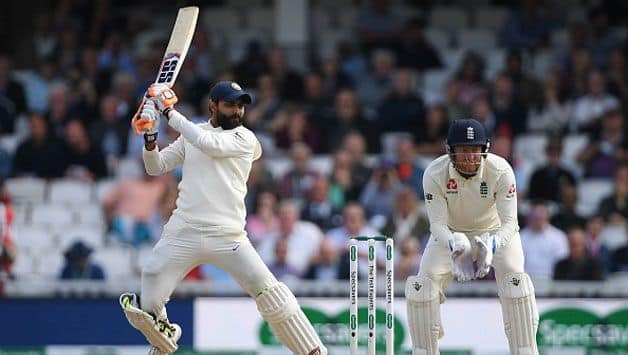 In addition to scoring 86 runs and chipping in with four wickets in the first innings, Jadeja returned to dismiss Moeen Ali in the second, picking up his fifth wicket of the match. But England batted confidently through Alastair Cook and Joe Root to extend their lead to 154. Jadeja pointed out that the key was to bowl quickly through the air and mentioned a number he feels is good enough for India to chase down in the fourth innings. “I think you need to bowl quicker in the air because if you bowl slow, the batsman can manage to come forward and play. I think we need to dismiss them as early as possible. 250 should be a part score,” Jadeja said. Jadeja and Vihari, India’s two overnight batsmen endured a challenging session that saw James Anderson and Stuart Broad bowling a probing spell. There were countless play and misses but the two batsmen fought well. “England were bowling in the right areas, so I and Vihari were just looking to play as long as we can. We were constantly talking to each other and discussing not to give our wickets away, doesn’t matter how good or bad the situation is,” said the allrounder.